No more secrets. It’s not necessary. No more lies. DNA can shed light on it. Our ancestors may have “pretended” to be of an ethnicity they weren’t born with but let’s check it out. Why do so many Americans have Old Testament Hebrew names? Hosea… first king of the Jews? Why would an ancestor have that name if he wasn’t from a Jewish family? Rebecca, Rachel… Old Testament names… maybe the ancients were from Judah. The habit of persecuting Jews was rampant during the Middle Ages and still practiced into the 18th century… Jews were expelled from the Louisiana area. 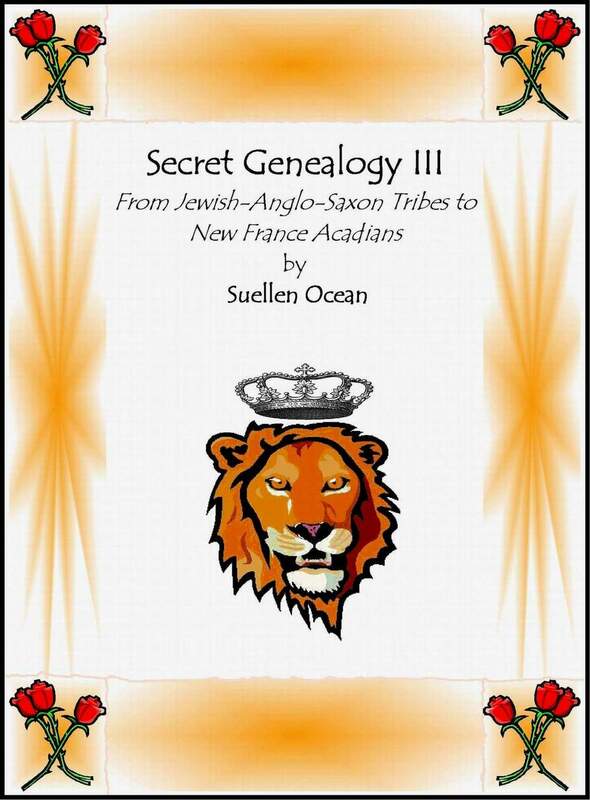 Check it out… do you have Southern ancestry? Did they the leave Louisiana area between 1724-1803 and move into the adjoining territory? Maybe they were Jewish and they didn’t want to be persecuted. Maybe they were just done with it. But guess what… we’re just gettin’ started. We want to know who we really are! Every time my genealogical interest is aroused, I jump on the word or idea and follow it where it leads me, to archaic definitions, unusual world history and strange websites. Ancestry searching is not an easy task, mentally or emotionally, particularly when an ancestor hides their true identity and changes their name for the sole purpose of changing their ethnic identity. When they change both first and last names or Anglicized it beyond recognition, as was often the case in Colonial America when the English ran the show, it leaves you with an icy cold trail because basically, the act is almost like “killing” the former identity. If your Dutch, Portuguese or English ancestor took a native of Banten (today’s Indonesia) as a spouse and that native was of the former Islamic Banten Kingdom, it means you have an ancient Indonesian Islamic ancestor. What genealogist wouldn’t love that information? We can spend years uncovering ancient “bloodlines” but if it becomes a source of seeking for superiority, I believe one is on the wrong track. This author does not see any ethnic group or groups as superior of others. The history of the Christians, Egyptians, Jews, Muslims, Phoenicians, Hittites and others belong to us all. It makes one less xenophobic to know other cultures and to have a direct link to them through our own ancient ancestry. 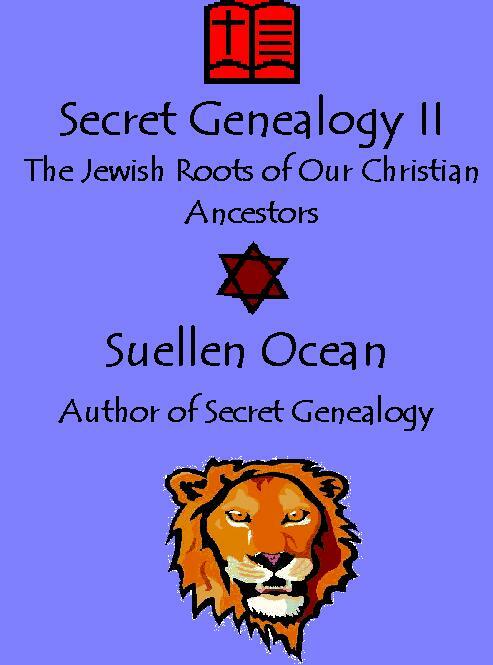 Suellen Ocean is the author of Secret Genealogy a how-to for tracing ancient Jewish ancestry and Secret Genealogy II, Uncovering the Jewish Roots of Our Christian Ancestors, both available at Amazon, B&N and Ocean-Hose. What skill the ancient Celts had developed by 1800 B.C.E. Their bronze working was quite impressive, especially their colorful enameling. Sometimes their axes, spears, swords and daggers were adorned with colorful stones. Imagine beautiful women with semi-precious stones embedded into hair ornaments and men with colorful brooches fastening their cloaks. When gazing at their art, one can’t help but wonder what thoughts went through these artists’ minds as they created such beauty with lines so fluid. In the 1600s, Huguenot refugees settled in East End London neighborhoods of Bethnal Green, Shoreditch and Spitalfields. These Huguenots were silk weavers. During the East End’s growth of the 20th century it was not uncommon for women to work at home in their modest studios with various manufacturing endeavors. The “Whitechapel Murderer” was none other than Jack the Ripper, who terrorized the area during the 1800s when prostitution was another one of the professions practiced in London’s East End. The use of multiple names is a Hebrew tradition. Jews blended common German names with Hebrew names. Hebrew names were important for legal contracts but the ancestors that we are looking for were probably long past writing up Hebrew contracts. They were hiding their Hebrew origins and at what point they quit teaching their children Hebrew probably varied within each family. In the 1800s, it became popular in Germany, Hungary and Poland to give Jewish children local common names. It was quite common all over the world, among Jews, to take the name of a town, city, village, hamlet, etc. Just because the ancestor you’re researching doesn’t have a Hebrew, Yiddish or Ladino name does not mean she wasn’t Jewish. 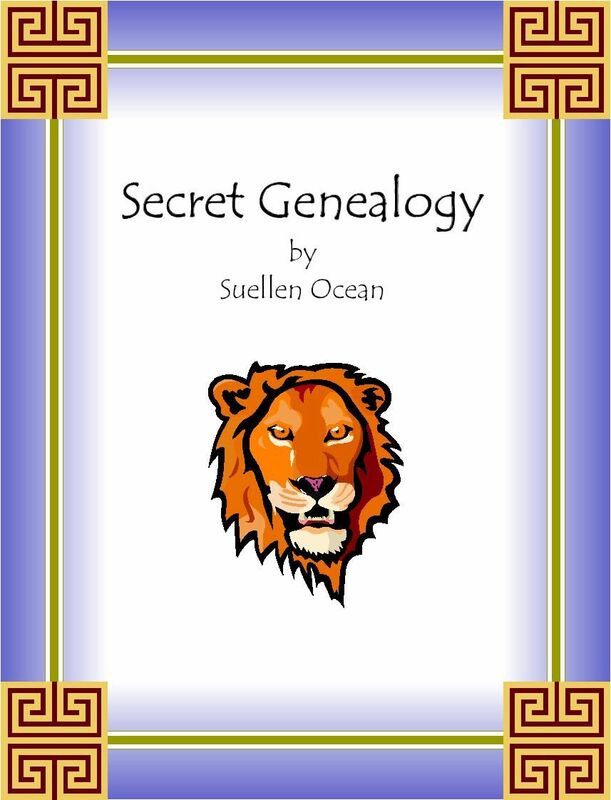 Suellen Ocean is the author of Secret Genealogy a how-to for tracing ancient Jewish ancestry available at Amazon, B&N and Ocean-Hose. Far too many people cannot trace their lineage; they feel lost, baffled and crave the knowledge of the ancients. Subconsciously, we wonder why our ancestors have Hebrew names when they aren’t Jewish. It may seem outlandish to think that someone could piece together a family tree spanning back to 500 B.C.E. but I have followed ancestral trails as far back as possible and added up all the clues and discovered a new way of looking at family albums, surnames and coats of arms. This fun obsession has helped me garner invaluable knowledge from complete strangers… everyone has an ancestral story. Millions of people have their own “Da Vinci Code” type conspiracy just waiting to be unraveled.